cry to the world: Go and ride a wave! Cry to the world: Hello! Cry to the world: Uuaaaa! Furthermore: We are one people! Cry to the world: PEACE! Cry to the world: yes! It all started in May 2007. Peter aka Mr. Blessings wrote his first few songs and published them on a free download site that a friend of his had programmed. On the very first day those songs got over a thousand downloads. Newspapers started reporting about 'Peter from Styria' (amongst others City Mag ? Vienna, 'Austrian of the week') and a few regional radio stations took up playing two of his songs in rotation mode. Soon he was offered some gigs and so he asked some musician friends to join his band. Consisting of only four members in the beginning, the band soon expanded. Mc i-razor aka Bomba samurai, whom Peter met at an open-stage concert, joined first. Not long after, beginning of 2007, Martin Riegelnegg, a keyboarder, completed the band. For the time being. A month after, Millions of dreads produced two songs with the successful producer and former 'Ausseer Hardbradler' guitarist Ernst Gottschmann, one of which ('Another day') made it into the finals of the ?3-Soundcheck two months later. After dozens of concerts followed the full-length album 'Hands up' in May 2008. The first ten shows of the 'Hands up'-tour were supported by a trumpet player, a trombone player and two background singers. This 10-headed-constellation was enjoyed to such extent that the band decided to continue playing like this for the next two years to come. National and international gigs such as the Chiemsee Reggae Summer, Donauinselfest and World Bodypainting Festival followed. During this time the band produced a music video to the single 'Schwoaza Mann' in cooperation with the artists Brons & Miz Justice. The clip not only took first place at the Rocking Movies Awards (Graz) and the Content Awards (Vienna) but was also shown at the Kunsthaus Vienna for a whole year. After the summer 2010 'Love is the way'-tour, they went back to the studio to produce the album 'Im Wandel'. In summer 2012 Millions Of Dreads released the Single-Vinyl 'Summazeit'. 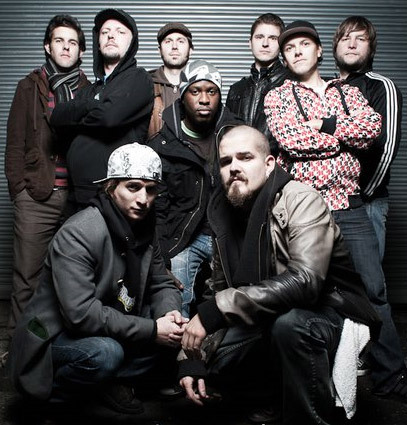 The languages used in it are English, German, Spanish and Patois covering roots reggae, dancehall, dub and drum'n'bass. The average amount of gigs played per year is 50. LP-release ? 'Hands up' concerts at the Bodypainting Festival, Donauinselfest etc; production of the video clip 'Schwoaza Mann'; 'Schwoaza Mann' is published on several samplers; airplay on Fm4 and Radio Soundportal and other regional stations in- and outside of Austria. Single-release ? 'Schwoaza Mann' ? 7-inch vinyl record concerts at the Chiemsee Reggae Summer 09 etc; interviews with Antenne Steiermark, Radio Soundportal, Falter and many more; airplay on Fm4 and Radio Soundportal and other regional stations in- and outside of Austria. Three tours with over 50 concerts in Austria, Germany and Slovenia; airplay on Fm4 and Radio Soundportal and other regional stations in- and outside of Austria.